It’s great to see so many news stories heralding the developments in the plastic industry. With the current interest in green living and the increasing consumer concern about the environment, the industry is forced to produce greener items. However, in which category does cellophane wrap fit? In some places, disposable plastic shopping bags have already been banned, which means it’s in the best interest of the sector to design more eco-friendly plastic bags and wrap products – not in five years’ time, but as soon as possible. And fortunately, there are already green options – degradable, biodegradable and compostable plastics. Even though some of them may sound like they’ve been recently invented, they have been around for a very long time. Cellophane is one such plastic, and thanks to the wave of green interest, it’s now experiencing an increase in popularity. What is Cellophane Wrap Made of? Many people do not realize that cellophane is plant based. The main giveaway is the “cello” in cellophane, which stands for cellulose – none other but the structural component of plants. As far as biodegradable bags and wraps are concerned, it may seem like cellophane is a better alternative. Even though Jacques E. Brandenberger invented in 1900, cellophane hit the market only in 1912. At that point, people were mainly using it to wrap fruit and candy. The real boom occurred when moisture-proof cellophane became commercially available in the late 1920’s. 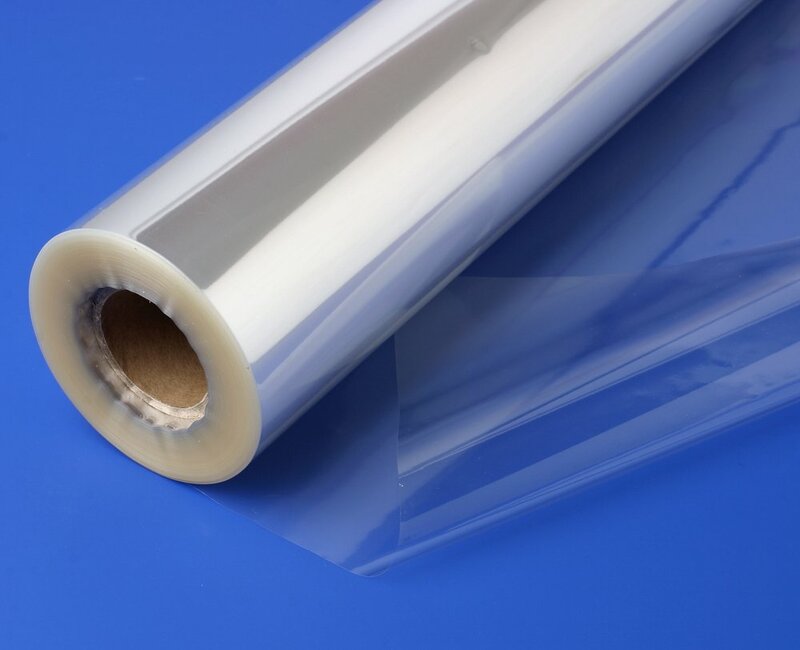 Between that and the 60s, cellophane wrap rapidly increased in popularity, until alternative petrochemical based plastics started gaining popularity. We all know how well that worked out for the environment. It’s true that modern bioplastics do use plants, but corn is the primary component for many of them. Therefore, should we be using a crop grown on land suitable for producing food for non-food uses with the current diminishing of arable land as a natural resource? There is some good news: Cellophane has the advantage over other bioplastics because we can produce it from hemp or farmed trees. Hemp, for example, is capable of growing in relatively harsh conditions. Thankfully, cellophane is off the list of the most unstable plastics, which features cellulose nitrate, cellulose acetate, PVC, and polyurethane. As far as its composting and biodegradable attributes goes, some reports state that it takes uncoated cellulose film only 10 days to 1 month to degrade when buried. Meanwhile, nitrocellulose-coated cellulose will degrade in 2 months to 3 months. Uncoated cellulose film will completely biodegrade in 1-2 months, while coated cellulose products will take 2.5 to 4 months. When exposed to a freshwater environment, the uncoated film has a 10-day rate of biodegradation. The rate for coated cellulose film can go up to a month. This means the cellophane wrap is much more biodegradable than people think. According to the available research, corn-based bioplastics take much longer to degrade. We also have to keep in mind the issue with recycling bioplastics made with corn. They are currently classified as a number 7 plastic resin, which means they fall into the “other” category. A glycerol treatment will make the dry cellophane less brittle, while a further nitrocellulose or wax coating makes it impermeable to water vapor. A few nasty chemicals involved in this process (such as the toxic carbon disulfide) can affect the nervous system. However, we have some good news. The amount of processing involved in turning petrochemicals derived from crude oil into plastics greatly surpasses that which is involved in creating bioplastics. Not to mention the damage oil-based plastics do long after they were discarded. In the end, it looks like cellophane and cellophane wrap is probably still the better alternative – environmentally speaking. When stacked up against corn-based plastic wraps and bags, the better or worse distinction become a little blurrier. At the moment, both cellophane film and rayon fabric are considered sustainable, since they contain natural plant fibers and not petroleum. As of recent, a lot of rayon-based clothing articles have been marketed as “bamboo”, given that bamboo fibers can be spun into thread. Although both rayon and cellophane do come from plants, we need to improve the production methods. At the moment, they require significant amounts of caustic and hazardous chemicals (such as carbon disulfide) to dissolve the plant fibers. Is Cellophane Wrap the Better Alternative? Cellophane wrap and bags are readily available. Some environmental scientists hope the crinkly cellophane wrapper will make a return to the grocery. If that happens, we have the wave of green “Earth friendly” packaging to thank for. At least cellophane wrap is not as noisy as the biodegradable polylactic acid bags that appeared in snack aisles. Since cellophane itself is 100% biodegradable, it makes it perfect for food wrapping. It can also be composted in your composting bin; just make sure to scrunch it up instead of covering your compost pile with a flat layer. This method will allow for air pockets, which are required for composting any material. Are you interested in purchasing cellophane wrap products that will have the least impact on the environment in terms of production and disposal? Here is a list of items we compiled for you. Nashville Cello Wraps – These Nature Flex Cello bags are produced from wood cellulose fibers gathered through sustainable forestry practices. The cellophane wraps are carbon zero, certified biodegradable and compostable. Clearbags – The new eco-food bags represent the eco-friendly, compostable and sustainable alternative to the usual packaging. The bags are sturdy, made from renewable wood pulp grown in carefully managed plantations. Good Start Packaging – These biodegradable cellophane bags can be used for food packaging. Made from Natureflex, a heavy duty film, the bags have the traditional plastic feel, but they are made from biomass content sourced from eucalyptus trees. FoodBizSuply Cello Wraps – Choose from the variety of sizes and samples to purchase the wraps that best meet your needs. All of the cellophane wraps are compostable and biodegradable.